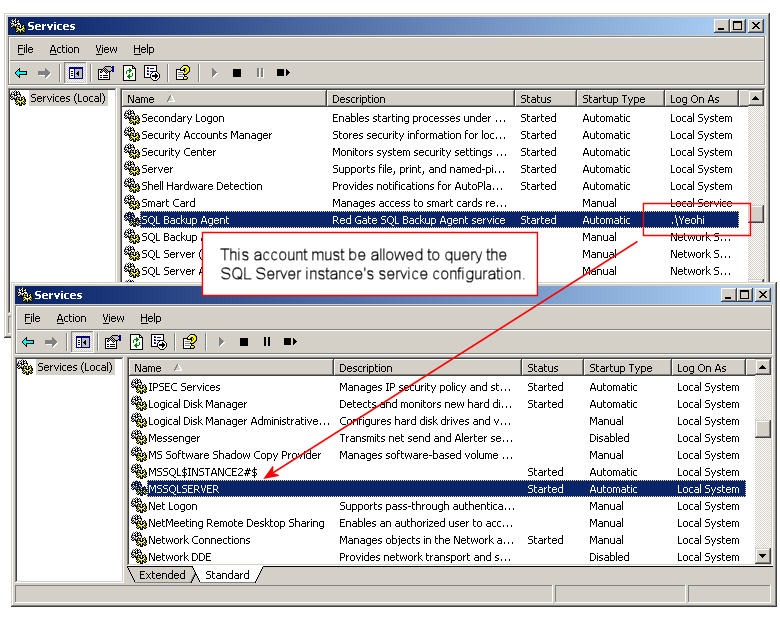 When you encounter error 1000 in SQL Backup, this could be because the SQL Backup Agent service startup account does not have rights to query the SQL Server instance's service configuration. 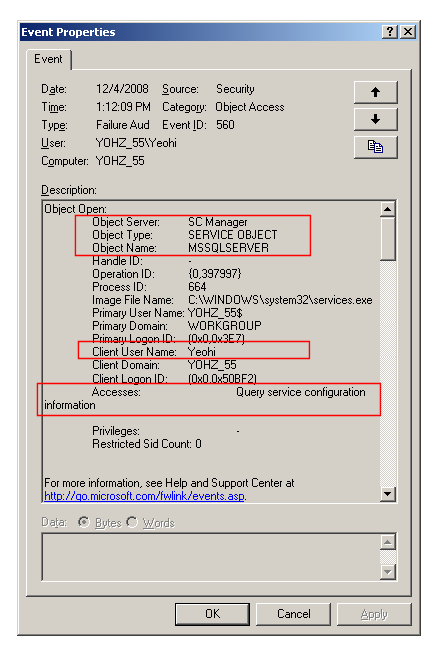 You can confirm if this is the cause of error 1000 by turning on auditing for failed object accesses. If the error is indeed due to denied access to the service's configuration, it will be logged in the Windows event log. 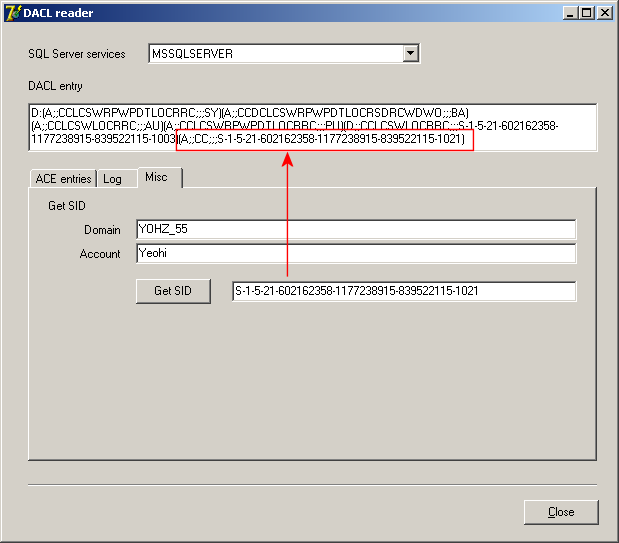 assuming the SQL Server instance's service name is MSSQLSERVER. You will need to change this if you are querying the DACL configuration for a named instance. Admittedly, this isn't exactly easy to understand. The following links provide suggestions on how to view and modify the security settings for system services in an easier manner. ·http://support.microsoft.com/kb/325349/en-us for Windows Server 2003. 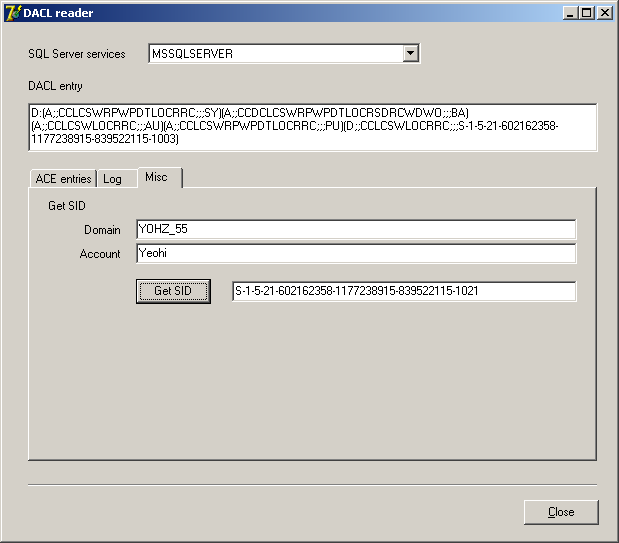 You can also download DACLReader, a free utility from Yohz Software, that also presents the information in a more readable manner, though only for SQL Server related services. The only right that you need to grant to the SQL Backup Agent service startup account is the Query Configuration right, which is denoted by the code CC. Assuming you want to grant this right to only the specific account, here is one approach you can take. 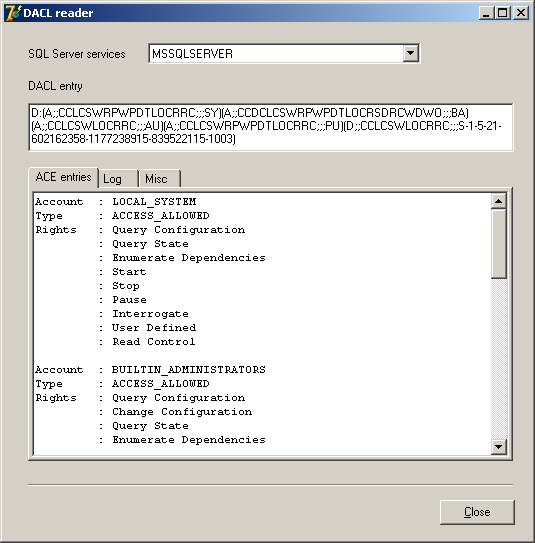 Identify the Security Identifier for that account, using DACL Reader. 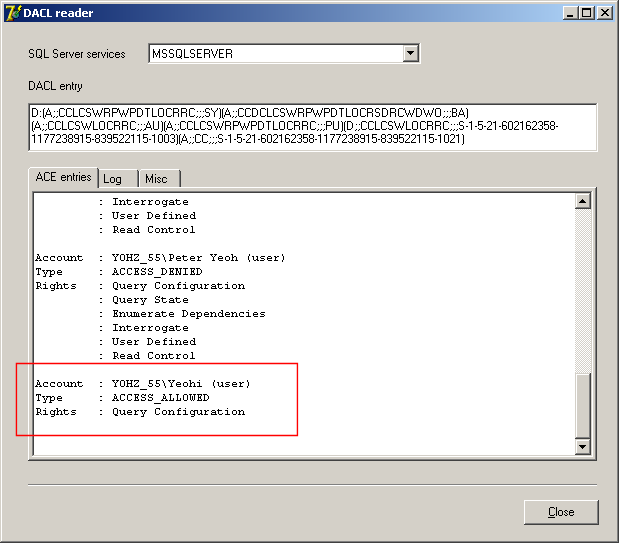 Prepare the DACL values in DACL Reader. The entry needs to start with A, followed by two semi-colons, then followed by the code CC, followed by another 3 semi-colons, then finally by the SID of the account. Next, open a command prompt window, and use sc sdset to update the DACL values. If everything goes well, sc should return a successful message. Finally, you can use DACL Reader to check if the right has been assigned. 12/20/2008 Added links to Microsoft Support documents.